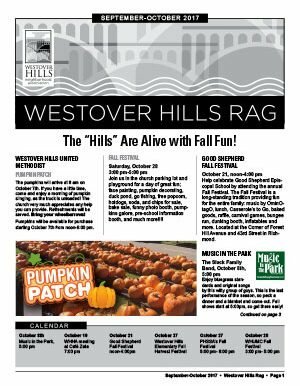 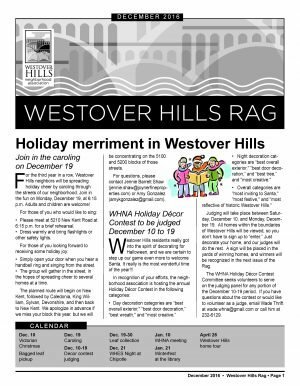 The Westover Rag is the regular newsletter of the Westover Hills Neighborhood Association, an organization of home-owners and residents in the Westover Hills area. 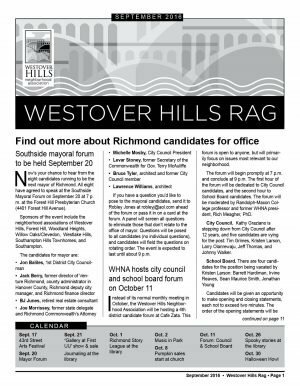 This newsletter is distributed four or five times yearly to area businesses and nearly 1,000 homes. 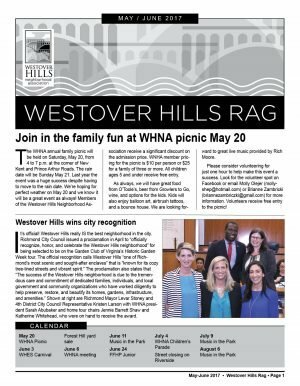 Click the links below to download your digital copy today. 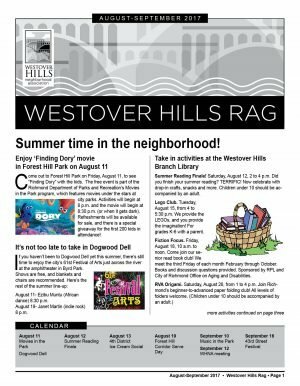 August 2017 Rag is here! 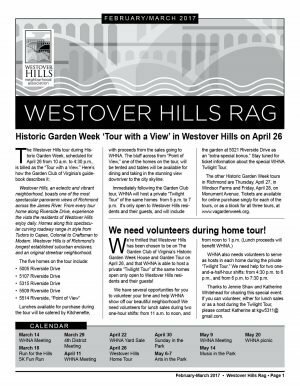 The March 2017 Rag is here!